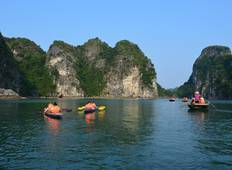 Find a Family trip that explores Vietnam. There are 26 tours to choose from, that range in length from 5 days up to 15 days. The most popular month for these tours is July, which has the most tour departures. 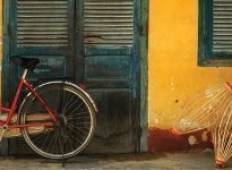 "Vietnam Solo Parent tour.. what can I say.. it was amazing.. the tour offers you..."
"I cannot say enough about S Viet Travel, we lovely time in the countryside with our..."
"This is pretty basic but great for my budget. We had a wonderful trip with awesome..."
"I was recommended this package by my neighbor and my trip was far beyond my expectation...."
"This is a second times I have been with Sviet. I have had interesting memories in..."